pcb music provides music direction, composition, production, and performance to theaters and locations throughout the United States. As a Nashville-area based company, pcb music often partners with Vanderbilt University, Tennessee Repertory Theatre, Nashville Children's Theatre, Nashville Shakespeare Festival and Community Spirit (Adams, TN). From fully producing music and theatre events to solely providing artistic guidance and technical support, pcb music tailors each project to the needs of the client or organization. Paul Carrol Binkley, President and Founder of pcb music, calls upon and coordinates an ever-expanding choir of colleagues developed over 30 years of performing from Bluebird to Broadway in order to fulfill the vision for each of his company's projects. For more information read below. To hear samples of Paul's music, click LISTEN on the bar above. Watch for new exciting projects in 2014! "If Windham Hill had maintained their acoustic profile and continued into the 90's with their earlier guitar centered approach, Paul Carrol Binkley might well have been carrying the banner." 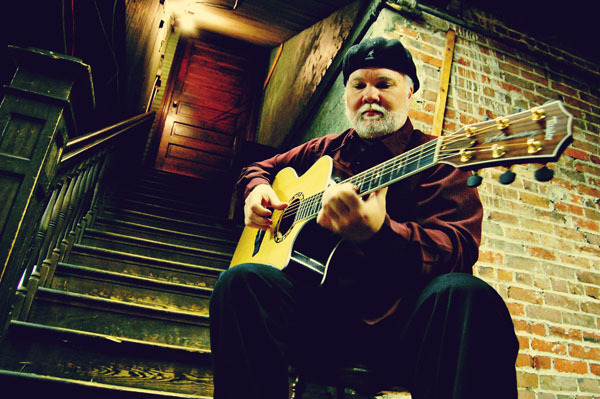 Paul Carrol Binkley has been playing the guitar and composing his own music since he was nine years old. He trained at the Berklee College of Music in Boston (where he received a Jim Hall Jazz Award), Austin Peay State University, and the Blair School of Music at Vanderbilt University. His music has been heard everywhere from the Bluebird Cafe in Nashville, to the Lincoln Center in New York; from CMT to NPR; from Holland to Singapore. 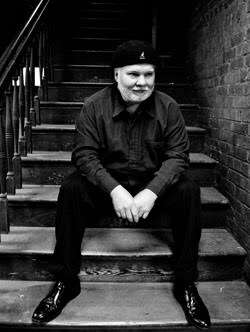 He once had a symphonic work profiled in American Symphony magazine, a Country song video playing on CMT, and a solo acoustic album playing on over 120 Jazz radio stations in the same week. He has toured the United States & Canada with Broadway shows, performed in numerous shows for Gaylord/Opryland and toured Eastern Europe before the fall of the “Iron Curtain”. Highly respected as an acoustic guitar specialist, he has been called upon for both recording sessions and live performances by artists as diverse as Lari White, Mandy Barnett, Jim Nabors, Holly Dunn, Janie Fricke, Jennifer McCarter, Lorrie Morgan, Jennifer Hanson, The Fifth Dimension, Percy Sledge, The Knoxville Opera, the Nashville Jazz Orchestra, the “Cosmic Jazz Faculty” with Rod McGaha, Jeff Coffin and Future Man (Bela Fleck and the Flecktones),Chris Walters Band, the Joe Murphy Quintet and the Modern Jazz Tuba Project. He also performed guitar duties for country super group “Alabama” for 5 years including their historic “American Farewell Tour”. At the end of their touring he created orchestrations for Randy Owen’s Pops Symphony performances. For the past 15 years Paul has served as music director for the Tennessee Repertory Theatre, The Nashville Shakespeare Festival, Mockingbird Theatre, The Nashville Children’s Theatre and the Coterie Theatre in Kansas City (Rated as two of the top 5 Children’s Theatres in the United States by Time Magazine). His original music has accompanied many award winning plays at Theatres across the country including the Eugene O’Neill Theatre in Connecticut, The Alliance Theatre in Atlanta and the Birmingham Children’s Theatre who produced Paul and Scot Copeland’s adaptation of “The Wind in the Willows” in 2007. Also released in 2007, is Paul’s latest film score for “Adrenaline”, the first full length action film in history to be shot in real time with no edits. He works as musicologist and copyright infringement consultant for such national clients as Budweiser, Infiniti, Nissan, Nike, Motorola, GE, Sony, EBAY, Apple and many others. In cooperation with Scot Copeland and Nashville Children's Theatre (NCT), "Jack's Tale" with Paul's original music will be performed once again at NCT in Spring 2015 following a run at The Kennedy Center in Washington D.C.